The Only Revision Source for Medical Students in Neurosurgery for free. Please kindly look under the exam questions link and donate £5.00 to the Nottingham Hospitals Charity for their development of the Intra-operative MRI. There are two key muscles involved in pupillary constriction. Shining of light within the eye causes transmission via the optic nerve to synapse with neurones in the pre-tectal area rostral to the superior collicus (midbrain) forming the afferent pupillary response. Second order neurones send bilateral projections that synapse with the Edinger-Westphal Nucleus, hence forming the basis of the efferent pupillary response. Efferent fibres leave via the oculomotor nerve and pass to the ciliary ganglion and to the short ciliary nerve to constrictor fibres. The Sympathetic Fibres arise initially from the ipsilateral hypothalamus through the midbrain and synapse on the C8/T1 Nerve Roots. Second order neurones passes over the apex of the lung and synapse at the superior cervical ganglion. 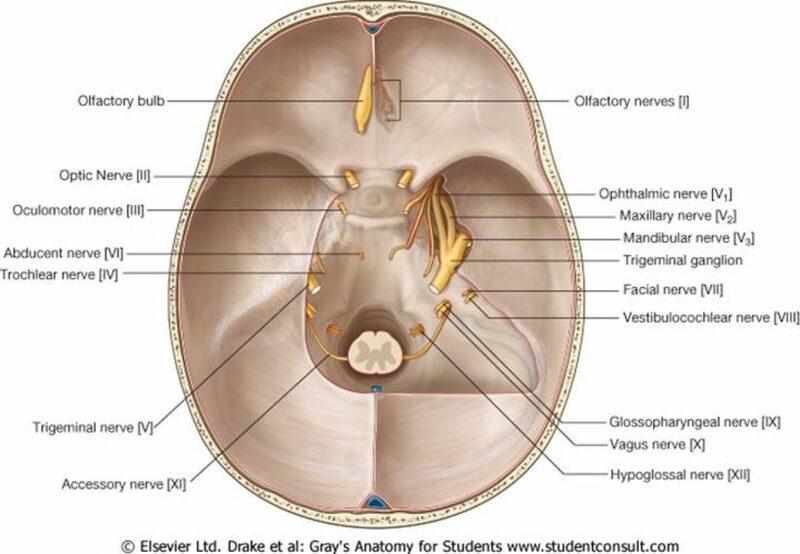 They ascend with the external and internal carotid artery to supply the iris via the long ciliary nerve. Sudomotor fibres run with the external carotid artery to supply sweat fibres to the face. The mechanism is not as clear cut, but as a finger draws closer from distant, both medial rectus contract, lens adopts a more convex shape followed by pupillary constriction. This involves both Edinger-Westphal nucleus and relationships between the 3rd and 6th nerve.